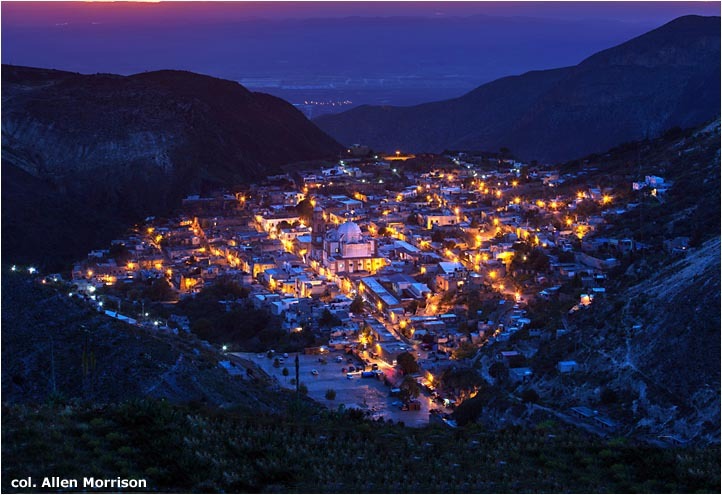 "Nido de Águilas" (Eagles' Nest) – "Pueblo Fantasma (Ghost Town) – "Circus of the Moon" – "The Incredible City" – are some of the epithets ascribed to this extraordinary place in the Catorce Mountains 150 km north of the city of San Luis Potosí, the capital of San Luis Potosí state. Altitude is about 2,745 m (9,000 ft). 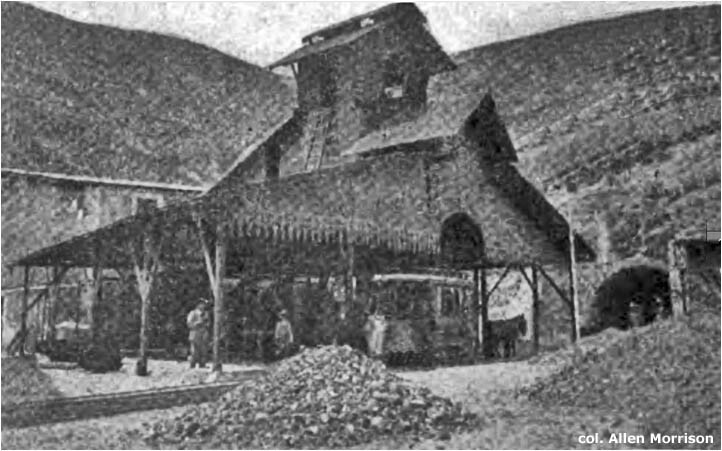 The town's population reached 40,000 during its prosperous mining era. It has only a few hundred residents today, when its only industry is tourism. The name is mysterious. "Catorce" means Fourteen – but fourteen what? And what is "Real de"? 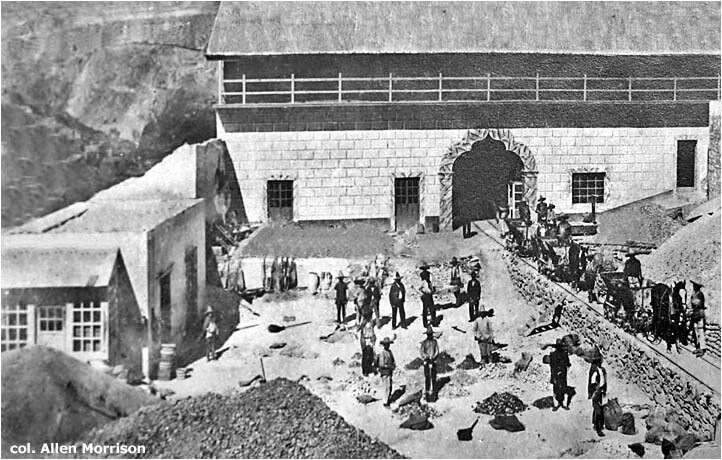 In the 18th century that term implied Royal Mine. Most historians think the place was named after 14 Spanish soldiers who died trying to pacify the Indians. Some say it was named after the Indians. Others say it was the 14 prospectors who discovered silver there in 1772. 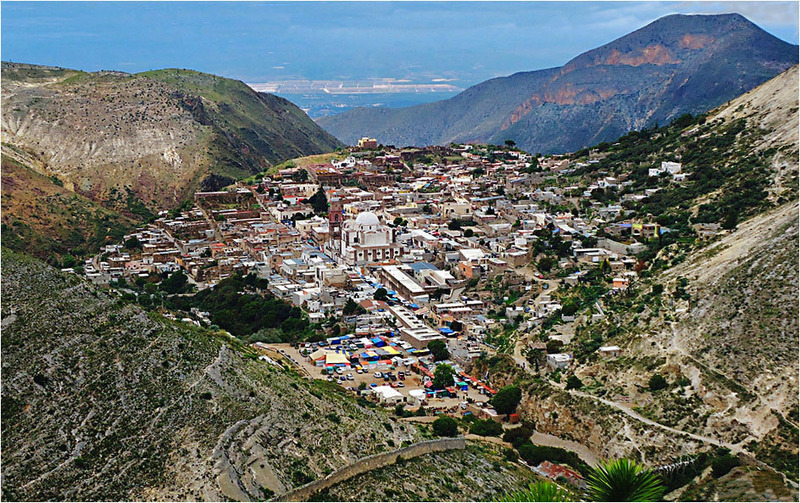 Today, Real de Catorce is the name of the town in the municipality of Catorce, one of 58 municipalities in San Luis Potosí state. Local residents call the place, simply, "Real". 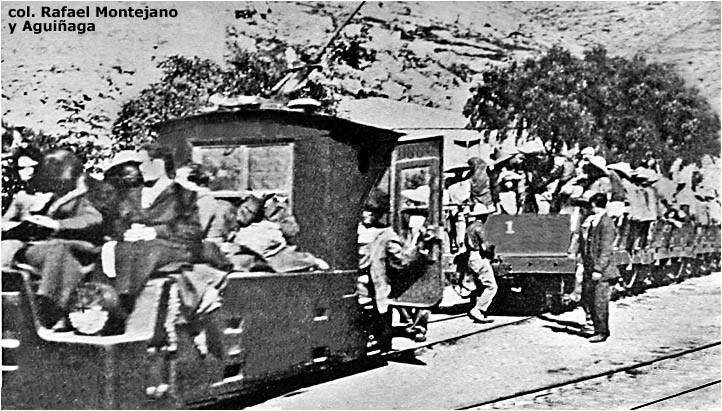 During most of the19th century the only access to the town and mining area was by horseback, but in 1891 the 914 mm (3 ft) gauge Ferrocarril de Vanegas, Cedral y Matehuala simplified the journey by building a branch line (with switchback) halfway up the mountain to El Potrero, 8 km north of Real de Catorce [see area map]. 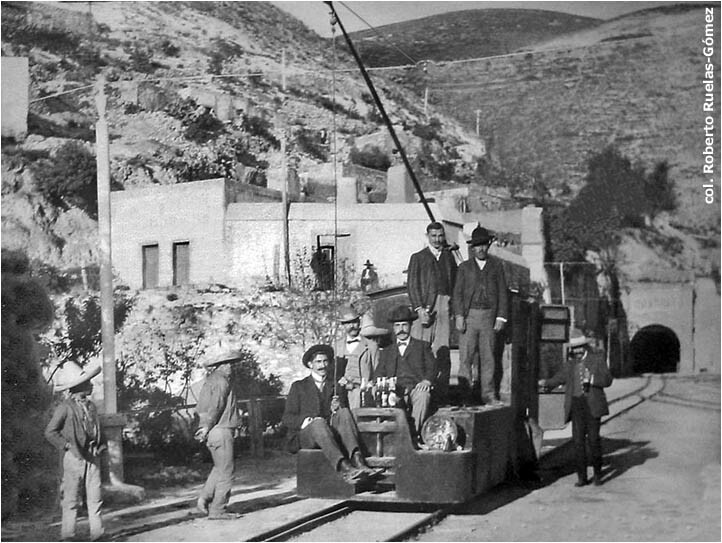 Mexican president Porfirio Díaz rode one of its trains in 1895 in order to visit Santa Ana mine, which had recently installed electric lights and other electrical equipment supplied by General Electric Co. of the U.S. (The original mine equipment had come from Arthur Koppel in Germany.) 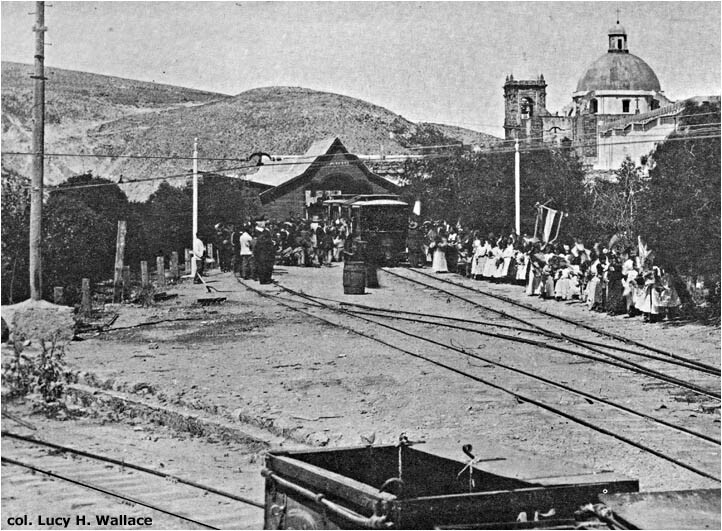 Pedro de la Maza escorted the presidential cavalcade from El Potrero station to Santa Ana and, later, over the mountain to Real de Catorce [see local map]. 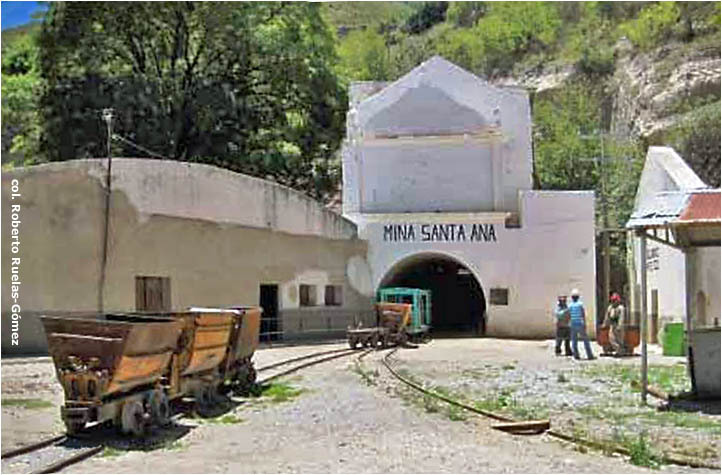 At the end of the 19th century, according to the Anuario Estadístico of the Secretaría de Comunicaciones y Obras Públicas [see Bibliography], Compañía Minera de Santa Ana operated 4.75 km of 600 mm gauge horse-powered railway between its various installations – in addition to 29 km of railway underground. 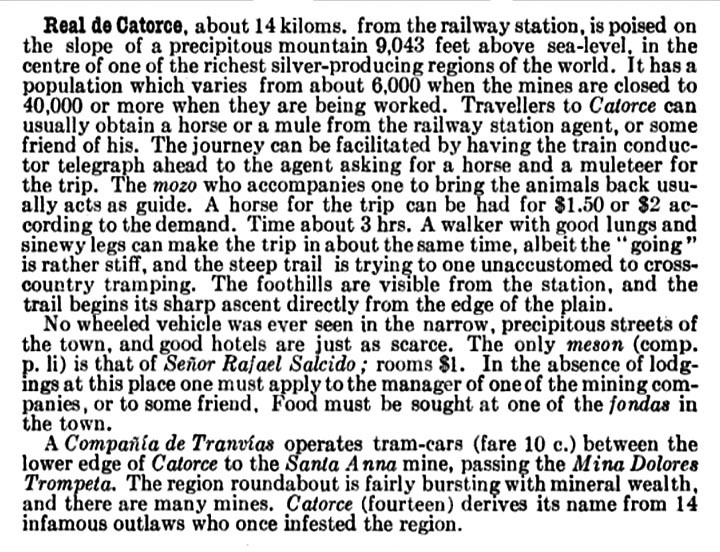 On 22 August 1896 [see below] it acquired a franchise to extend its railway and its tunnel at Dolores mine under the mountain to Real de Catorce, and also build a railway in the other direction down the mountain to El Potrero [see map]. 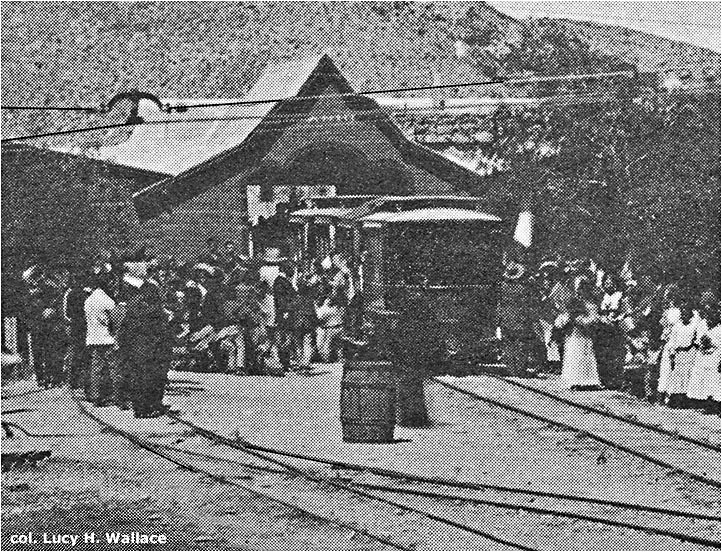 Santa Ana imported two more trams from Philadelphia in 1902. 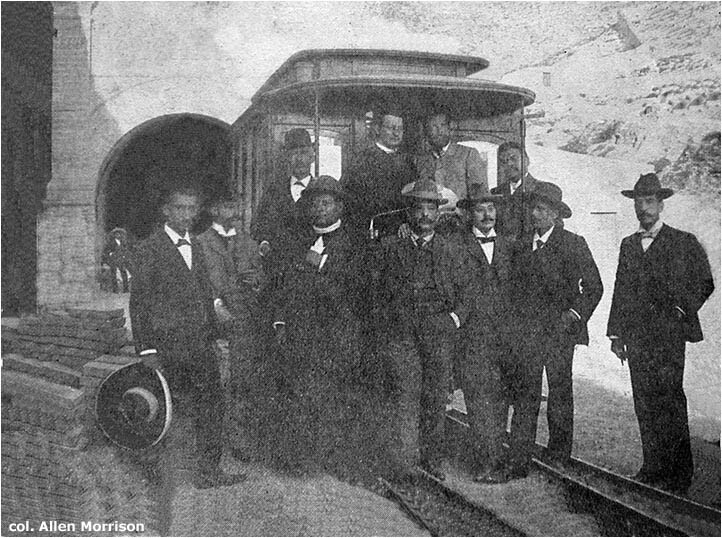 Brill documents indicate that "Roberti Yrizai" ordered a 9-foot closed tram and a 4-bench open tram on 29 May 1902. (Entries in the order books are hand-written and sometimes almost illegible.) The line now had five cars – three open and two closed. 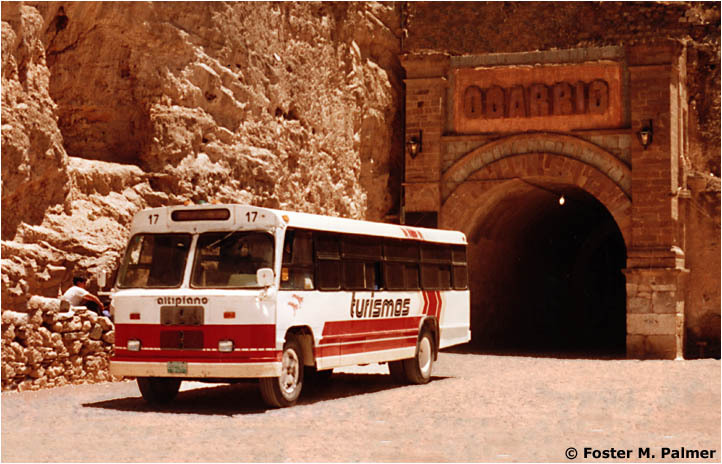 Apparently, mine vehicles began running through the tunnel in 1901, but according to a 1903 Memoria the line was not authorized to carry passengers until 24 June 1902. 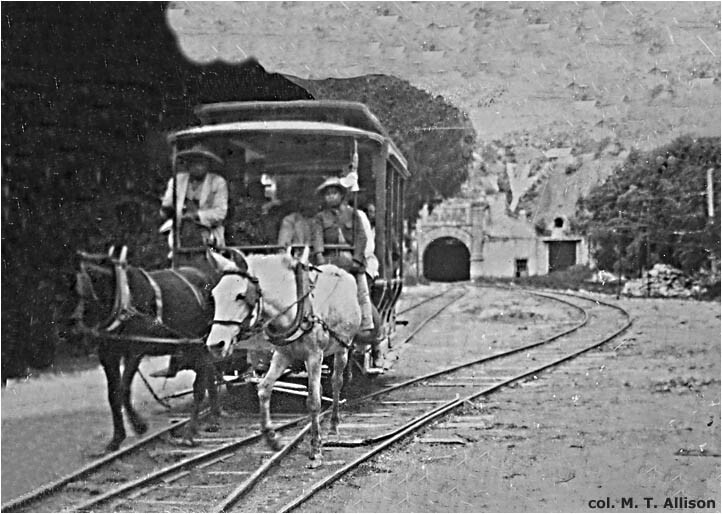 Thereafter, horses pulled both passenger trams and mining vehicles from Real de Catorce through the tunnel to Dolores, El Refugio, Santa Ana and other mines east of the city [see map]. The travel information contained in the following excerpt from the 1909 edition of Terry's Mexico (later editions called Terry's Guide to Mexico: see Bibliography) is based on author Terry's visit in 1905. Terry approached Real de Catorce from a rail line in the valley on the west. After rails were extended to San Agustín mine south of the city, the line was 7.3 km long [see map]. 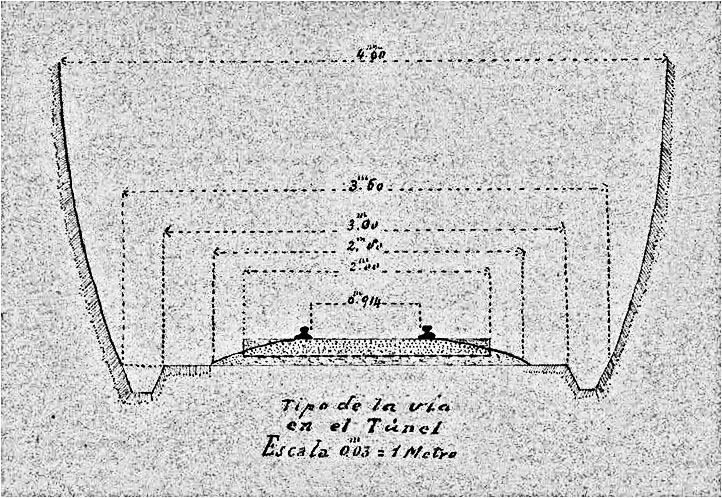 The 1903 Memoria confirmed that, honoring the terms of its contract, FC Ogarrio was re-laying its 600 mm gauge track to 914 mm (36 in), and would continue that gauge on the 9 km extension that it was building to El Potrero. 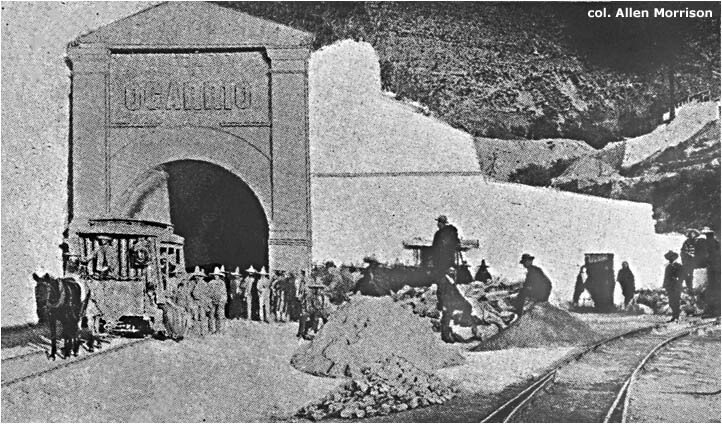 A 1907 Memoria stated that the extension to El Potrero had been completed and that the FC Ogarrio now had 15.9 km of 914 mm gauge track. The mountainside route was winding, with a switchback. The climb had to be gradual because it was designed for animal-power. 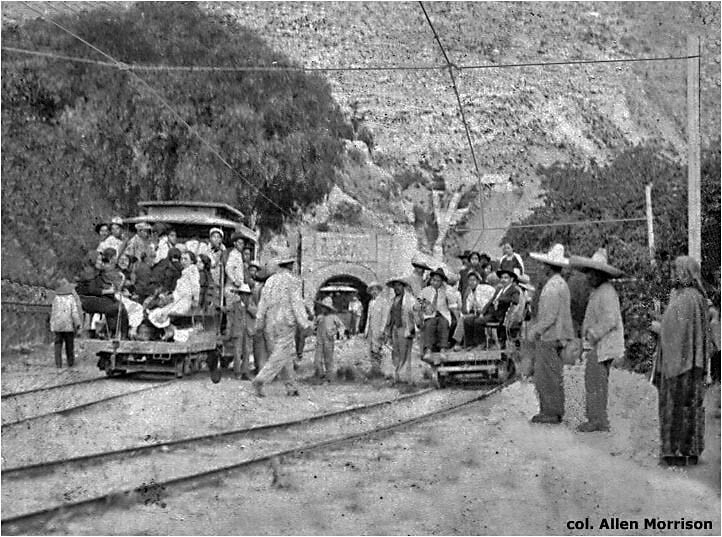 As it was laying new track in the tunnel and extending its line to El Potrero [see map], Ferrocarril Ogarrio was also bonding its rails and hanging overhead wire. 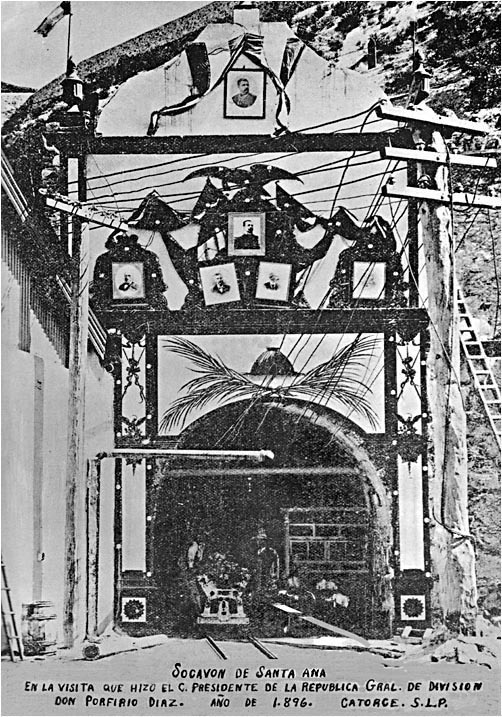 In his book El Real de Minas de la Purísima Concepción de los Catorce, S.L.P. 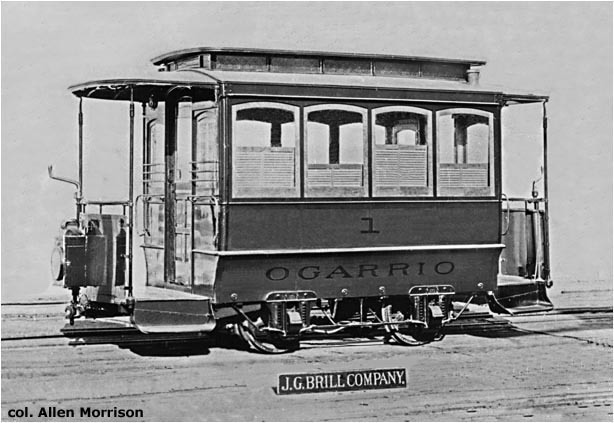 [see Bibliography] author-historian Rafael Montejano y Aguiñaga wrote that the Ferrocarril Ogarrio was electrified in September 1908. (Another source says August 1908.) 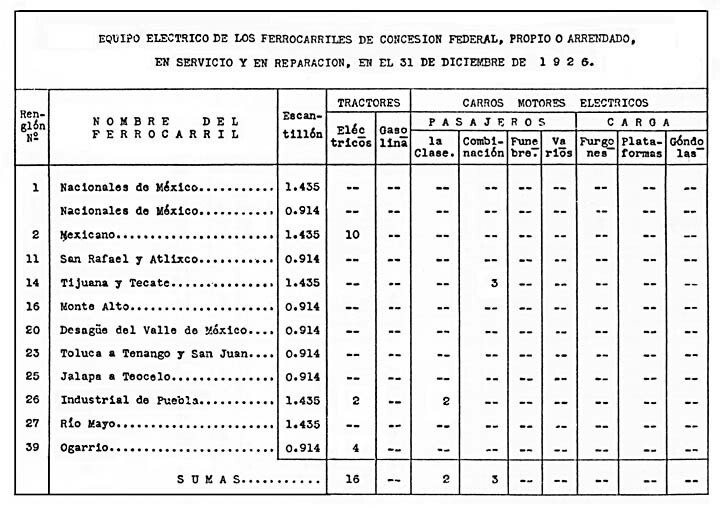 The electrification was confirmed in a 1908 article published that year in The Official Mining Directory of Mexico. A 1910 chart in the American Electric Railway Journal noted that FC Ogarrio ordered a 30 ft. double-truck electric interurban locomotive from General Electric in 1909. That was a year after the inauguration, and the locomotive shown above is smaller. But perhaps G.E. made a variety of locomotives for FC Ogarrio. Later reports say that it operated four electric locomotives. Note on the chart that in 1909 it also acquired six 18 ft. double-truck interurban gondola cars built at the Santa Ana shops [see map]. 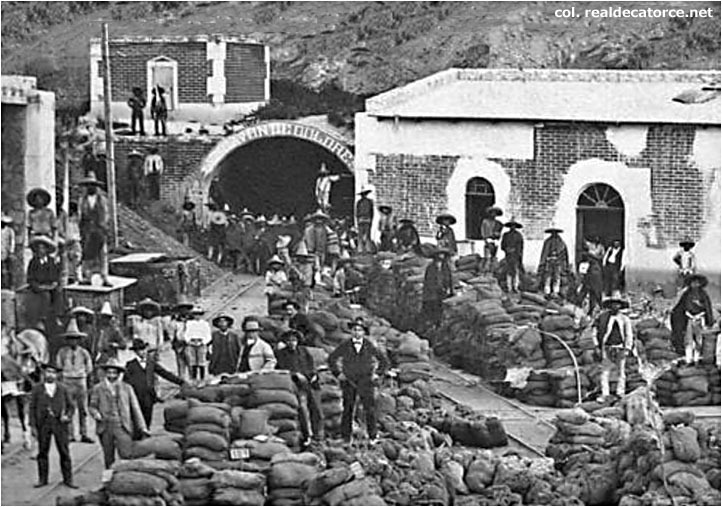 Compañía Minera de Santa Ana was still in charge. FC Ogarrio seems to have had no electric tram cars per se. It had only an assortment of passenger and freight trail cars that were pulled by electric locomotives. It also is said to have operated at least one steam locomotive. 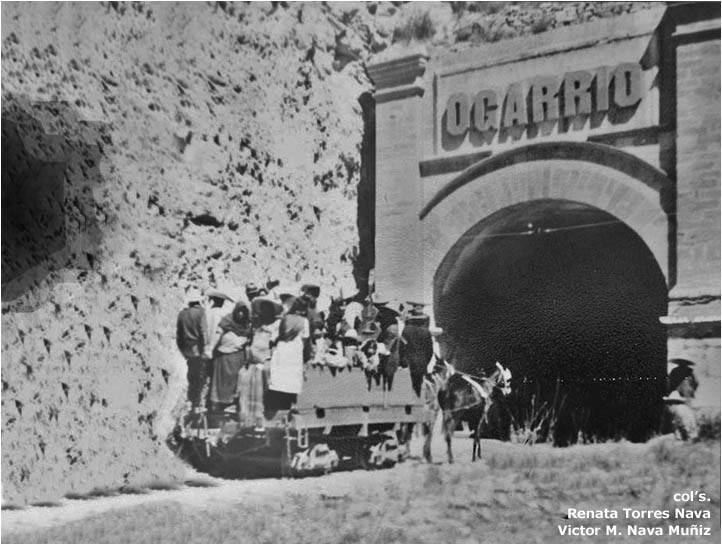 Alas, the golden age – of Real de Catorce, its mines, and its mysterious railway – was short-lived. Porfirio Díaz remained Mexico's president for 28 years and helped develop its industry, transportation and commerce. But he suppressed political freedoms and generally ignored the poor, who worked in the mines and plantations and saw their land appropriated by his government. The Mexican Revolution began in 1910 and lasted ten years. Rebels like Francisco Madero (educated at University of California), Pancho Villa and Emiliano Zapata finally brought Díaz down – but were all executed. Two million Mexicans lost their lives in the hostilities and the country was in turmoil for a decade. 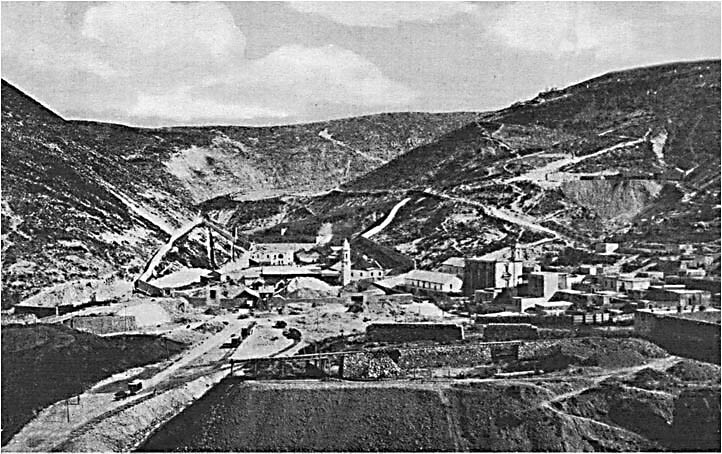 Most of the mines around Real de Catorce closed and the town's residents fled to seek work in the valley. The FC Ogarrio lost most of its passengers – just as it completed electrification and had purchased new equipment. 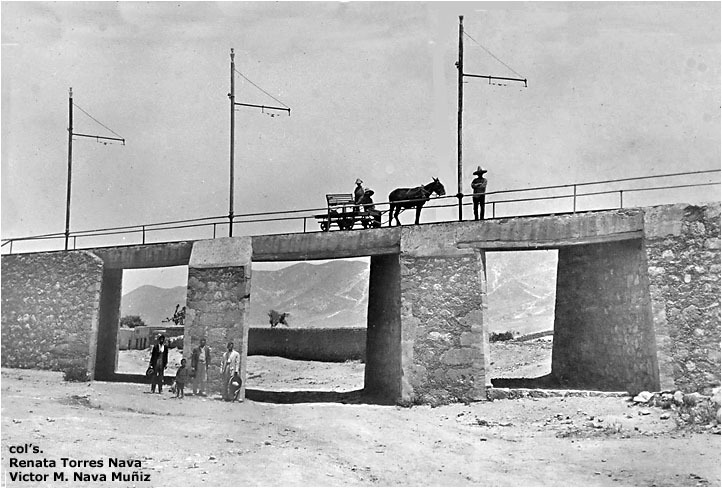 In addition to the human and economic tolls, the government stopped publishing its Anuarios and Memorias, which had supplied information about Mexico's railroads and tram lines. No one counted or photographed trams for the next 15 years. Not a single good picture has been found of electric operation on the FC Ogarrio. Mexico's Secretaría de Comunicaciones y Obras Públicas began a new "Estadística de Ferrocarriles y Tranvías" series in the early 1920s. A 13-page detailed survey for the period 1923-1925 unfortunately omits seven states, including San Luis Potosí. But the FC Ogarrio was considered in reports published thereafter. Here are sample statistics for 1926, 1929 and 1934. 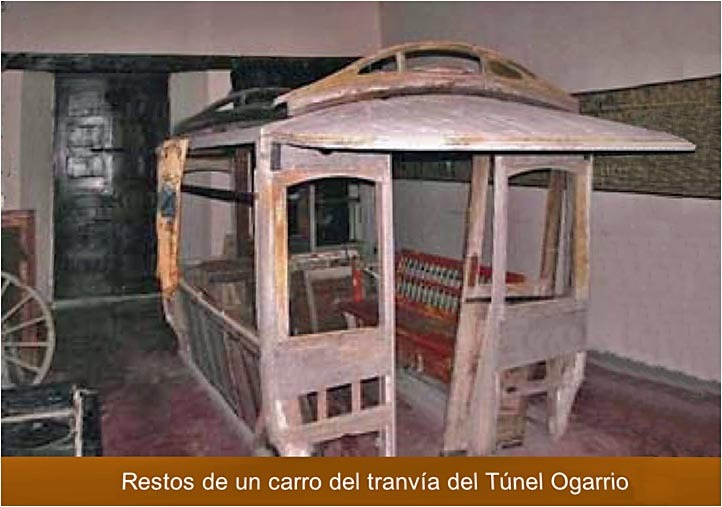 Since the Ogarrio line was basically rural and ran between towns, EFT considered it a railway and not a tramway. All reports agree that it was 18 km long [see map]. Real de Catorce is a very different place today. Tourism rises and falls. 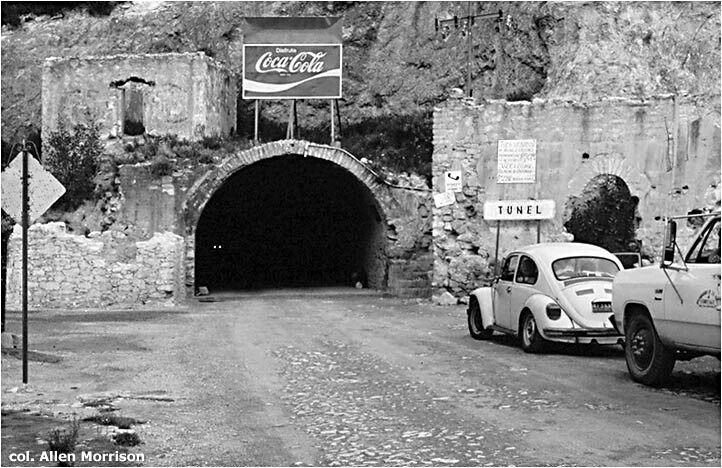 The town's spectacular location, the "extranormal" tunnel (there are numerous legends), the abandoned houses and mines, the high altitude – such things are attractive to many. And there are pilgrims. Thousands arrive every October to honor St. Francis de Assisi who they believe is responsible for miracles at Immaculate Conception Church (Parroquia de la Purísima Concepción) on Calle Lanzagorta. Every spring hundreds of Huichol shamanists walk from five states in Mexico to collect peyote and perform religious ceremonies in the nearby Catorce valley. Mexico. Secretaría de Comunicaciones y Obras Públicas. Memorias. Annual reports, 1891-1917, are good sources of information about mines and railways. Mexico. Dirección General de Estadística. Anuario Estadístico de la República Mexicana. 1893-1907. 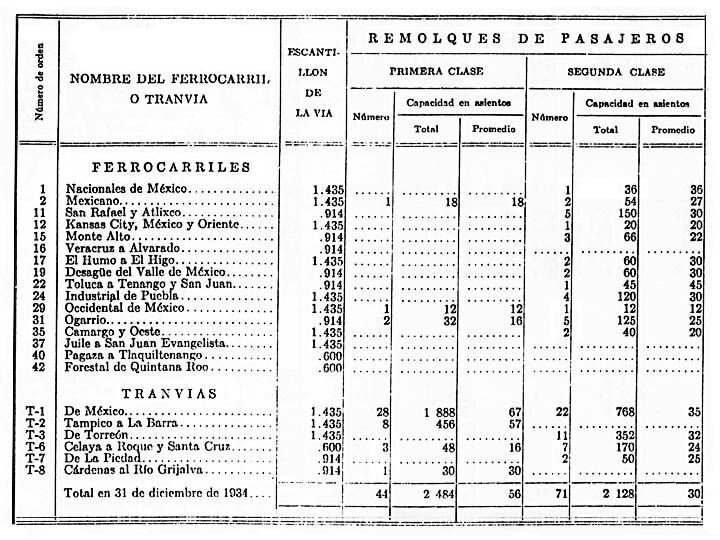 Railway data for Santa Ana mine and Ferrocarril Ogarrio. Mexico. Cámara de Diputados. Diario de los Debates, vol. 1 (1896), pp. 81-90 (22/8/1896) and 842-850 (undated). 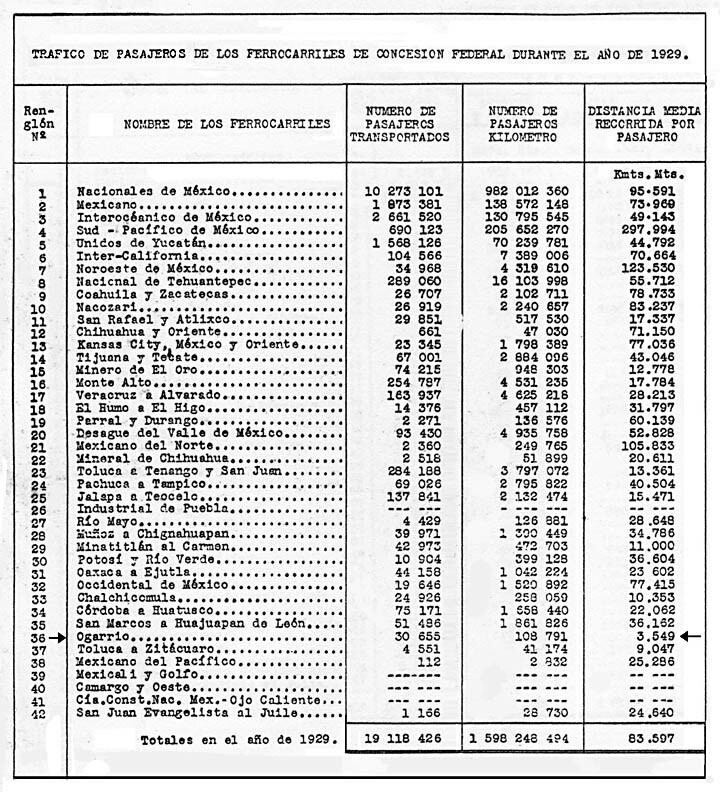 Disputed contracts of the Ferrocarril del Túnel de Dolores á Catorce. Confusing, but the only records of the franchise that could be found. J. R. Southworth and P. G. Holms. El Directorio Oficial Minero de México/The Official Mining Directory of Mexico. 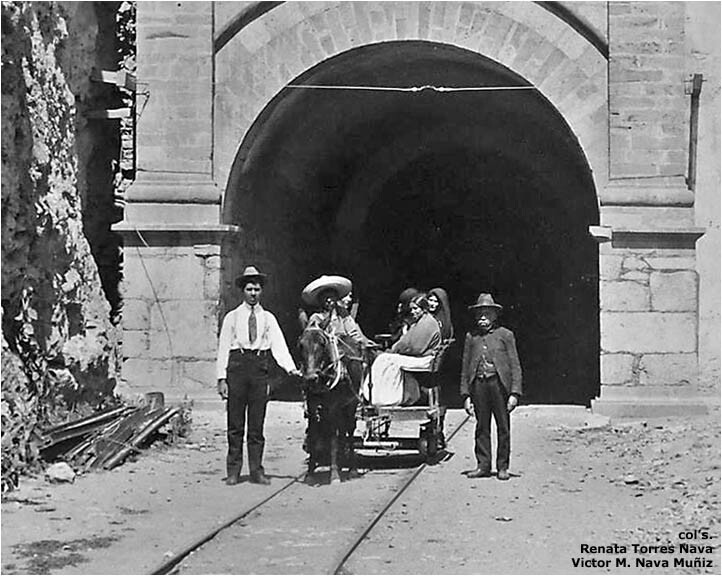 Mexico City, 1908. Superb, illustrated, bilingual survey of Mexican mines. See especially "Compañía Minera de Santa Ana" on pp. 169-172. An online version of this work strangely replaces the latter article with a discussion of German manufacturers! Here is a section of p. 170 scanned from the original paper version. Plano del Ferrocarril Ogarrio, 1909. Catorce, S.L.P. Map of the new electric railway. North on the left side, not top. Also confusing because the rail roads are shown the same as other roads. Perhaps the original map distinguished them by color. T. Philip Terry. Terry's Mexico. London and Mexico City, 1909-. Later editions called Terry's Guide to Mexico. The original, 1909, edition is based on the author's visit in 1905. Popular, extremely detailed guidebook series. Early data often repeated in later editions. McGraw Electric Railway List, August 1918. New York, 1918 [reprinted by Harold E. Cox in 1970]. 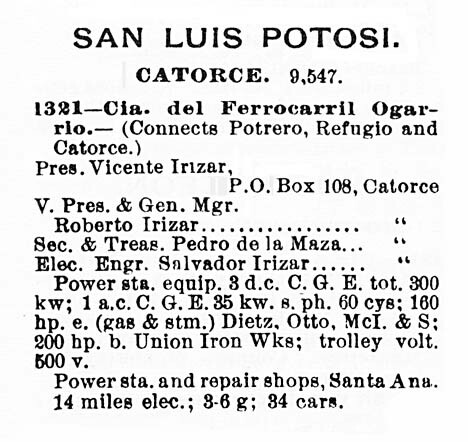 Item 1321 on p. 206 shows data for Ferrocarril Ogarrio. Data varies for other years, before and after. Francisco A. Hornelas. "Distrito minero de Catorce" in Ingeniería Internacional (New York), October 1922, pp. 210-213. Nice description of the mines, but only from a geological point of view. Some of the illustrations show trams, but there is no mention of them in the text. Mexico. Secretaría de Comunicaciones y Obras Públicas. 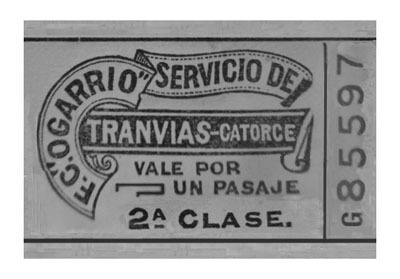 Estadística de Ferrocarriles y Tranvías, 1926-1934. México, 1927-1935. Interesting stats for the Ferrocarril Ogarrio. Lucy H. Wallace. The Incredible City. Mission (TX), 1965. A superb 116-page illustrated survey of the town's history and folklore. Dozens of (uncredited) photographs, some of which are reproduced on this webpage. Vague references to the "electric tramcar". Octaviano Cabrera Ipiña. El Real de Catorce. San Luis Potosí, 1973. Good survey of development. The source of two illustrations on this page. The tranvías are mentioned in a poem on p. 105, but there is otherwise no mention of them in the text. Rafael Montejano y Aguiñaga. 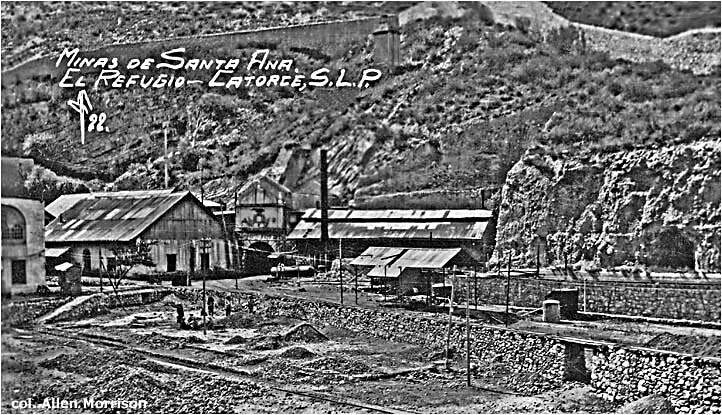 El Real de Minas de la Purísima Concepción de los Catorce, S.L.P. San Luis Potosí, 1975. Tramway references, pp. 192-217. 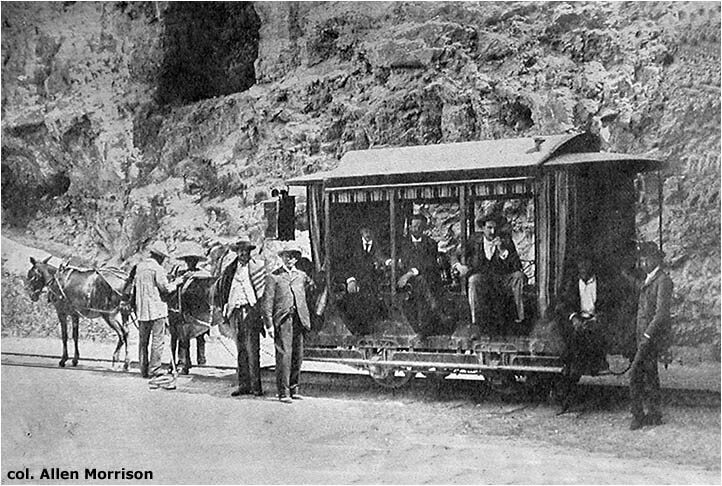 Photo of "electric tramway" reproduced on the last (unnumbered) page of the book. Wikipedia: Real de Catorce. Nice overall description and history. Text available in 14 languages. Real de Catorce: animated introduction page. A nice series of pages produced locally. Choice of English or Spanish text. Real de Catorce: tourist information. This page describes and shows the preserved tram. The author is especially indebted to his Mexican colleagues Roberto Ruelas-Gómez and Juan Viladrosa for the valuable information and rare images that they supplied for this webpage. Without them, the page would probably not have been created. If you have comments, additional information or photographs that might be added to this page, please write to Allen Morrison! Leo y escribo español.